Alicia Sanchez was at a family reunion in Las Vegas when she first heard news of the North Bay wildfires. 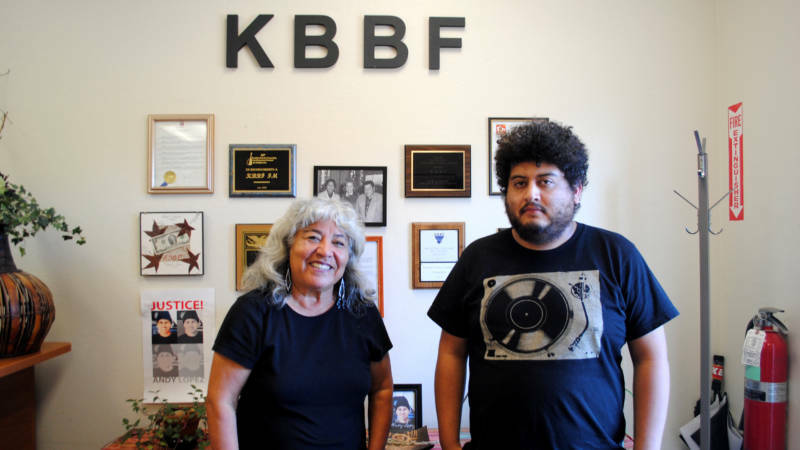 Despite the time — it was 3am – she knew she couldn’t neglect her duties as the president of the board of directors for KBBF, Santa Rosa’s bilingual public radio station. She immediately called programming director Edgar Avila and told him to rush to the station. By 6am, Avila and several of KBBF’s other radio hosts were translating life-saving evacuation information into Spanish and broadcasting it throughout the region. “This disaster showed us that we do serve a purpose, because of the fact that there was no news in Spanish,” says Sanchez, a retired labor organizer in her sixties with thick, grey hair and beaded earrings. 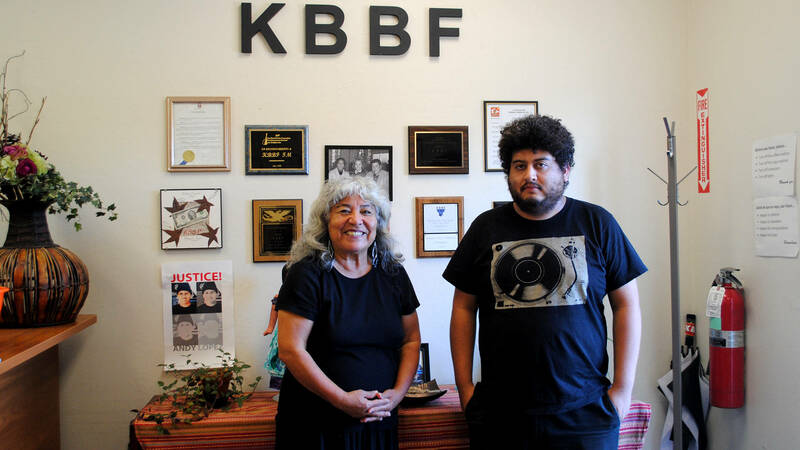 KBBF was founded with a social justice mission during the Chicano movement of the early '70s. Today, it's the oldest bilingual station in the country, and is run entirely by volunteers. It’s not unusual for Sanchez and Avila, a DJ and musician in his twenties, to provide services that go beyond their job descriptions. Their roles have become even more critical during the current administration, as many KBBF listeners are Mexican immigrants and some of them are undocumented. Amid recent crackdowns on immigration, local residents often call KBBF for advice on tenants’ rights or immigration services. “We’re a radio station, but we have that information and they don’t trust anyone else to give them that information,” says Avila. When the fires struck, KBBF aired information about evacuations, fire boundaries, air quality, and services for local Latino immigrants who were displaced or had lost their jobs because of the destructive fires. In Sonoma County, where nearly a third of the population is Latino, one of the challenges Avila and Sanchez faced was getting local residents access to services without jeopardizing their immigration status. “The latest one right now is, if you want to get help from FEMA, they read this out loud to you that you are aware that the information you have just given [them] may be shared with Homeland Security -- including ICE -- so a lot of people are not wanting to go and apply,” says Sanchez. Despite the fact that ICE issued a statement that they would not check the immigration status of those evacuating the wildfires, many listeners called KBBF and said that they were afraid to go to shelters because of the armed, uniformed National Guard officers -- who, in their eyes, resembled border patrol -- that were stationed outside. “It’s a lack of cultural understanding” on the government's part, Sanchez says. 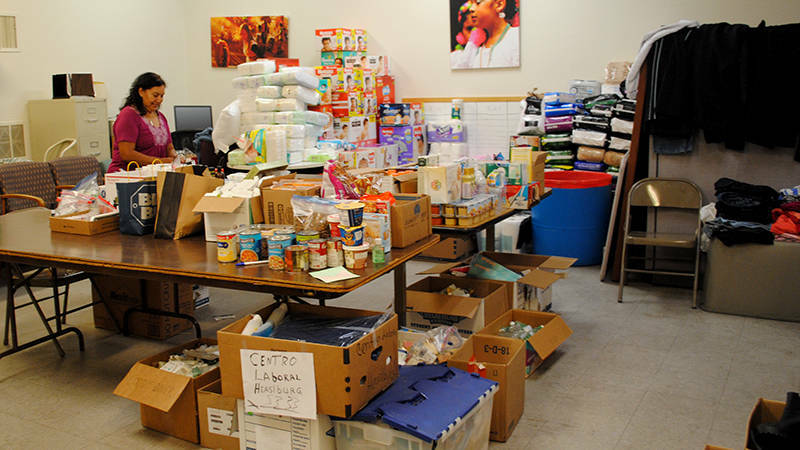 In the weeks since the wildfires began, Avila and Sanchez converted a conference room in the station’s office in Roseland -- Santa Rosa’s predominantly working-class, Latino neighborhood -- into a donation center, passing out masks, clothes, toiletries, and other supplies to people who had been displaced from their homes or lost their jobs because of the fires. He and Sanchez invited politicians on air, including Assemblymember Marc Levine and U.S. Representative Jared Huffman, to assure the public that shelters would not check their immigration status. They also brought the San Francisco-based Mexican consul general on air to give information to Mexican citizens on how to replace documents lost in the fire. But even with distrust of the government, local residents have offered support to one another. “We’d get calls saying, ‘I have hot food at my house and all day I’m gonna be giving out hot food, this is my address.’ So we’d put it on the air,” says Avila. Like everyone affected by the North Bay fires, the challenge the Latino community now faces will be in rebuilding their lives. But for working-class, undocumented residents, there are added difficulties. The flames destroyed many of the jobs available to undocumented immigrants, like cleaning the million-dollar homes that burned down in Santa Rosa's Fountaingrove neighborhood, or working the vineyards for the wine industry. Sanchez says she's unsure what's next, but she's heartened by the fact that people have stepped up to help one another. That almost makes up for the fatigue she's incurred from sleepless nights coordinating relief efforts at KBBF.